You might have seen that we have an exhibition on this week with the theme Beat Plastic Pollution for World Environment Day. 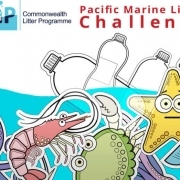 We are encouraging people who are doing cleanups to collect data on the litter they pick up. Data on litter helps us see what items are causing the biggest problem in the environment. Last year’s data on litter clean ups helped shape the policy and informed the government on what items to include in the first round of the plastic ban. The ban on plastic bags, plastic straws and polystyrene takeaway boxes comes into effect on 1stJuly. So this year it is really important to gather as much data from clean ups in as many different places as possible. It would be really useful to see the data from June – before the ban and from September – 2 months after the ban, to see how effective the ban is at stopping these plastic items getting into our environment. We are appealing to you to collect the data from a clean up you do in your area and to clean up the same area in September and collect the data. Then to give the data sheets back to VESS so we can add it all together and put it in the report! You can download the data sheets here: they are available in English, French, or Bislama. You can either scan and email the completed data sheets to vess@vanuatuconservation.org or take a photo of them and upload them to our Facebook page or you can drop the data sheets off at our office upstairs at Anchor House (we are in the same building as Novodental/ medical and South Pacific Travel which is next door the the Waterfront Bar and Grill). Are you a recent science graduate? 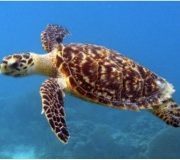 Do you want to learn how to assess Vanuatu’s wildlife? VESS is organizing a Biodiversity Assessment Training to be held from the 17th—20th of April 2018 in Port Vila. We are looking for at least six recent science graduates to train with us, preferably graduates with qualifications in the field of biology, environmental or marine science. The training will be conducted by Australian ecologist, Tyrone Lavery from the University of Queensland and will include assessments of birds, reptiles, mammals and invertebrates. 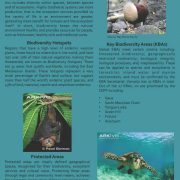 The Threatened Species Factsheets were created as part of VESS’s Threatened Species project aiming to increase awareness of threatened species in Vanuatu. According to the IUCN redlist of threatened species there are 138 threatened species in Vanuatu. The 27 species featured in the fact sheets on this page are those prioritised by the Critical Ecosystem Partnership Fund (CEPF) investment. The factsheets have been used in workshops on the outer islands of Vanuatu and were displayed in a threatened species exhibition in Port Vila in February 2018. Each factsheet has eight sections, and each group (mammals, birds, reptiles, plants) is ordered by colour. These factsheets are available here for anybody to download and use for educational purposes. Please credit VESS whenever they are used. Click on the name of the animal or plant below for the link to the pdf factsheet. 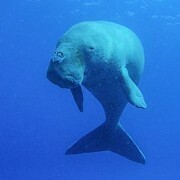 Dugongs are charismatic marine mammals that are frequently seen in Vanuatu waters. Seagrass is vital to their survival and is a home to many marine animals. As part of the awareness activities of the Dugongs and Seagrass Conservation Project we would like to encourage artists to experiment with adding dugong and seagrass designs and add these pieces to their repertoire. We hope this art and handicrafts will inspire people to care for these magnificent creatures and their important seagrass habitat. *entries to the open category can be any art or handicraft that does not fall into the above categories e.g. fabrics clothing, jewelry, photographs etc. Prize packs to the value of Vt10,000 for each category consisting of tools, art supplies and a Vt5000 voucher. The handicrafts and art will be displayed at the VESS Threatened Species exhibition, which runs from the 26th February until 3rd March at the Espace Alliance Française. Bring your finished pieces, ready to display, to the exhibition on Monday 26th February BEFORE 3pm. Judging is at 4pm during the opening of the exhibition. Terms and Conditions for the Dugong and Seagrass Handicraft and Art Competition. All entries must contain depictions of dugongs and/or seagrass. 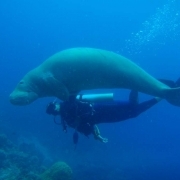 The competition is part of a dugong and seagrass conservation project. 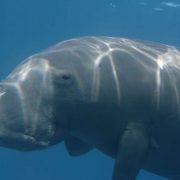 Part of this project is to raise awareness of dugongs and seagrasses throughout Vanuatu via a series of workshops. In these workshops VESS will be discussing dugongs as subjects of handicrafts and art. Images of the handicrafts and art entered into this competition will be shown during these workshops. They will also be uploaded to the VESS website. By entering this competition you are understood to have given permission for your designs and work to be shown in this way. All entries should be brought to Espace Alliance Française between 9am and 3pm on Monday 26th February. Any entries submitted after 3pm will not be included in the competition. Entries must be ready to display. VESS does not provide framing. All pieces are to be displayed at the Threatened Species Competition for the length of the exhibition from the 26th February until 3rd March 2018. Whist VESS will take all necessary precautions to protect the artwork during this time, artist display their art and handicrafts at their own risk. Entries may be for sale or not for sale at the artists own discretion. Prices are to be set by the artist. No commission will be charged (but VESS would be appreciative of a donation if any pieces are sold). Sold items should remain on display until the end of the exhibition. Prizes will be awarded at the discretion of VESS. That decision will be final. The Dugong and Seagrass Project is executed by the Mohamed bin Zayed Species Conservation Fund with financing from the GEF, implementation support by UN Environment and technical support from the CMS Dugong MoU Secretariat. This is a global project, involving eight developing countries. 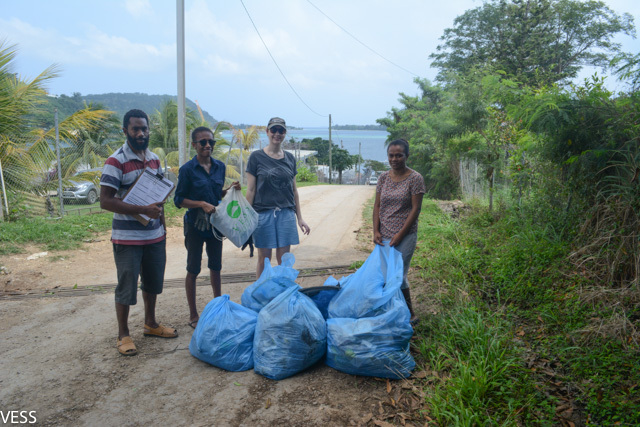 VESS is implementing this project in Vanuatu in partnership with the Department of Environmental Protection and Conservation and the Vanuatu Fisheries Department.